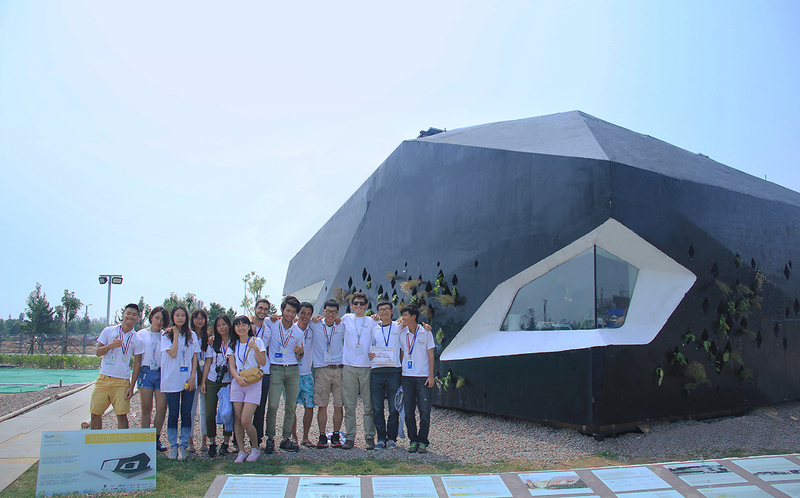 A team of Students from The Cass School of Architecture participated in the first ever Solar Decathlon in Datong, China, August 2013. 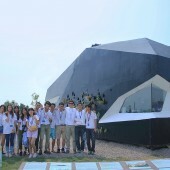 The students, supported by their tutors, Jonas Lundberg, Nathaniel Kolbe and Eva Liu, and by CASS projects, collaborated with students and staff from Guangzhou Academy of Fine Arts (GAFA) in the design and construction of a solar powered house. 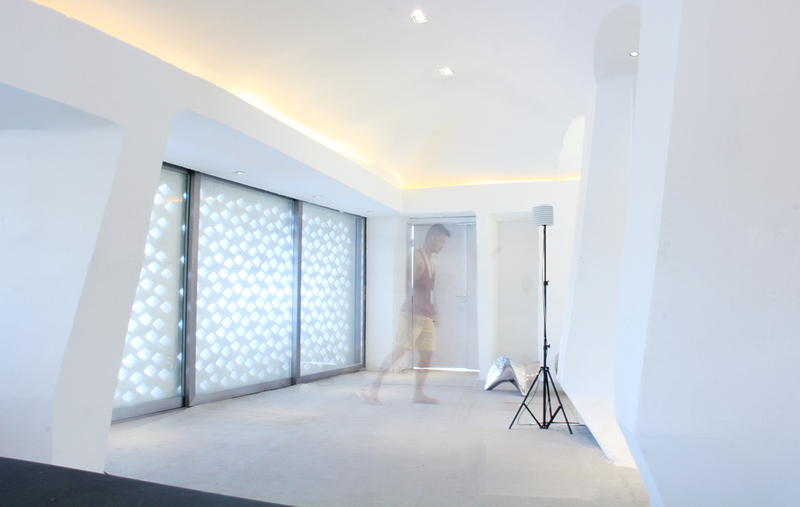 Constructed using innovative, low-cost, lightweight materials and using the PassivHaus strategy; the house is parametrically designed to adapt to its environment and to reclaim unused parts of the city. 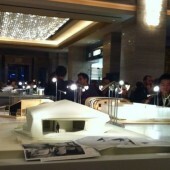 The team used the latest in energy efficiency methods to significantly reduce the amount of energy used by the house. Representatives from The Cass and GAFA were able to network with fellow competitors from Europe, the Middle East, Africa, USA, Australia and of course China. During the visit the team received feedback from the organisers and were able to visit their site in rapidly expanding Datong. The house was developed in response to a competition brief for the Solar Decathlon Europe competition. This is a global competition that challenges universities to design, build and operate a fully sustainable house using solar energy as the only energy source and equipped with the latest in energy efficiency technology to address the issues facing sustainable urban development. How can a student live project deliver a highly insulated, lightweight, zero net energy, solar powered prototypical house to be realized for the Solar Decathlon competition? 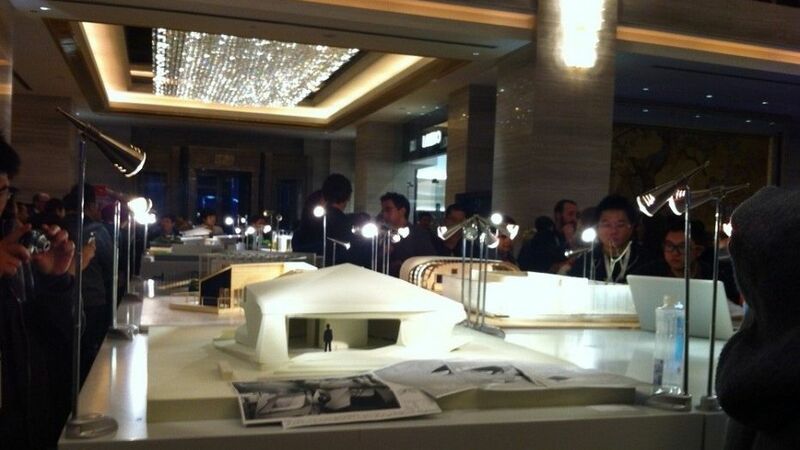 Architecture, Client-funded, Initiated by institution, Months, Semi-permanent, 11-50, +, Sponsorship, Postgraduate, Curricular, Students with tutor, Datong, London Metropolitan Univ.